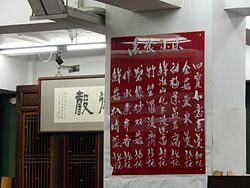 The Suzhou numerals (Chinese su1zhou1ma3zi) are special numeric forms used by traders to display the prices of goods. The use of "HANGZHOU" in the names is a misnomer. ^ 搜查線：〡〤〨傳統花碼字　你又識幾多？. 東方日報. 2016-05-25 [2016-07-02]. ^ 【紅Van集體回憶】「〤〥」花碼價錢牌　你知落車俾幾錢？. 香港01. 2016年12月7日. ^ 錢寶琮. 中國數學史話. 北京: 中國青年出版社. 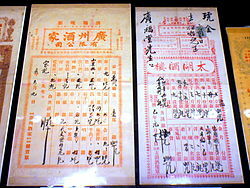 1957年: 頁109. ^ Name Stability. Unicode Character Encoding Stability Policy. Unicode Consortium. 2008-02-28 [2008-06-13].